Tank To Tankless Water Heaters? We Say YES! Tankless water heaters are quickly becoming the “in” thing, and with good reason. Obvious reason number 1, there is no tank but, greater for reason number 2. Water heaters with tanks slowly heat the water and keep it hot for long periods of time unlike the tankless water heater which quickly heats the water as it’s needed. Although there are pros and cons to everything, these pros listed below way over power the listed cons in this tank versus tankless debate. Pro Number 1, is its much smaller size. Instead of having a huge tank that takes up a ton of room and floor space, this small tankless water heater gets mounted to your wall. Huge space saver. Pro Number 2, is its never ending hot water. That is correct, there is an unlimited supply of always hot, always ready water for you to use. And, when we say always, we mean always, whether you are taking a 7 hour shower or filing a hot tub, you will have hot water for all of it and more. Pro Number 3, is it uses much less energy. 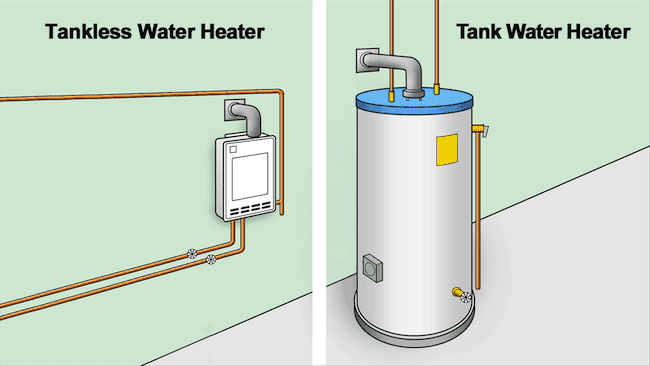 Unlike tankless water heaters, traditional tank water heaters are full of water that they continuously have to keep hot which causes a great amount of lost energy and in the end more money spent. With a tankless heater the water is being heated as needed therefore saving all of the other energy. Pro Number 4, is length of life. Tankless water heaters tend to lastlonger than your traditional water heater. This is a win win all around. Con Number 1, is the upfront higher cost. The unit and the insulation tend to cost more in the beginning, but if you think about it everything that is more effective seems to cost more up front but ends up saving us in the long run. Con Number 2, is that hot water takes a little longer. Meaning, traditional water heaters have the hot water waiting and ready to go, where as with a tankless unit the cold water enters the heat exchanger and then begins to get hot as needed. Con Number 3, is hard water can shorten their life span. Lime, mineral buildup, and scale can destroy any type of water heater but they seem to be a little harder on tankless heaters however, there is a solution. You (or your local plumbing company) need to regularly flush out your tankless system and that will help prevent the hard water build up. Overall tankless is the way to go. And, NPI is offering a $150.00 discount off of any tankless water heater installation during the months of January and February 2018. Call Norfolk Plumbing for your price. Chelsea Business District is home to a variety of businesses and intersected by the Elizabeth River Trail. 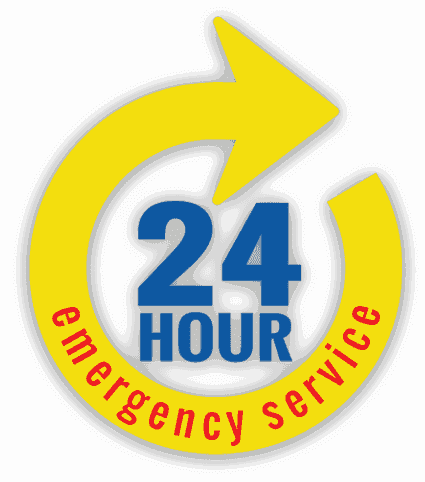 Norfolk Plumbing is proud to serve Virginia Beach, Norfolk & Southside of Hampton Roads with the best plumbing services.